South Atlantic Petroleum Limited (SAPETRO) in conjunction with its partners, the Nigerian National Petroleum Corporation (NNPC), Total Upstream Nigeria Limited (TUPNI), Brasoil Oil Services Company Nigeria Limited (Petrobras) and CNOOC Exploration & Production Limited (CNOOC), recorded a significant milestone with the arrival of the multi-billion dollar Egina Floating, Production, Storage and Offloading (FPSO) unit to the shores of Nigeria. The vessel started its journey from South Korea to Nigeria on 31st October 2017 and arrived at LADOL on the 24th January 2018. 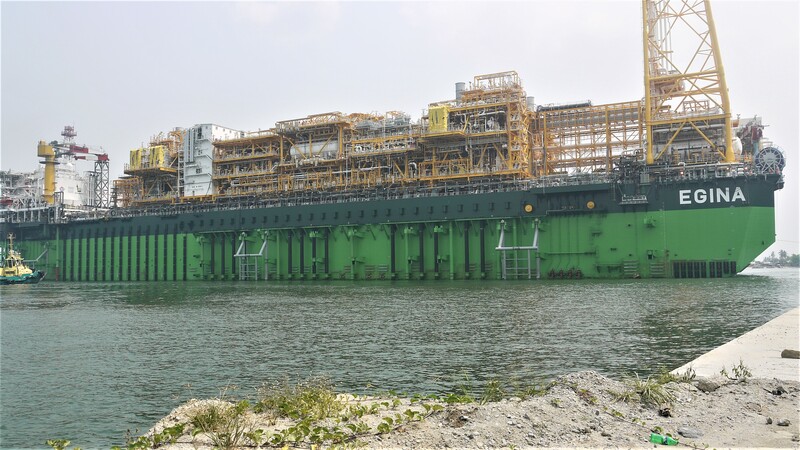 The arrival of the Egina FPSO represents a real landmark for the Nigerian oil and gas industry. At 330 metres long, it is the largest FPSO ever installed in Nigeria and the largest FPSO built by the Total Group worldwide. 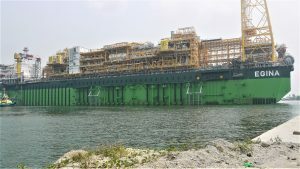 It is currently berthed at the newly-built 500-metre FPSO integration quayside at the SHI-MCI Yard, Ladol Island, Lagos, where the integration of 6 locally-fabricated modules will take place over the next few months. This is a first not only for Nigeria but also for Africa and it represents a remarkable achievement in local content development in Nigeria. Egina is the deepest offshore development carried out so far in Nigeria, with water depths over 1,500 metres and was the first project launched after the enactment of the Nigerian Oil and Gas Industry Content Development Act in 2010. The project has advanced Nigerian content immensely and has by far the highest quantum of local content used for any oil and gas project in Nigeria. The FPSO has a production capacity of 200,000 bcpd and is designed to be operational for 25 years, thus generating significant opportunities for local contractors for many years to come. The local integration of the Egina FPSO is expected to be completed in Q4 – 2018, following which the FPSO will sail to the Egina Field, which is located within Oil Mining Licence 130 (OML 130). The field is operated by TUPNI in partnership with SAPETRO, NNPC, CNOOC and Petrobras and will add approximately 200,000 barrels per day to Nigeria’s oil production when it comes on stream at the end of 2018 (around 10% of the country’s total oil production). The Egina project will positively impact the local economy in many ways and it is testament to SAPETRO’s unwavering commitment to advancing employment, capacity building and development of industrial capability in the Nigerian oil and gas sector. Key stakeholders assemble for the arrival of the Egina FPSO including: MD Nigerian Ports Authority, GGM NAPIMS, DPR Reps, MD TUPNI, DMD TUPNI, MD Petrobras, SAPETRO Asset Manager, Egina Project Director, MD Samsung Heavy Industries, Chairman LADOL, MD LADOL. ← Our Chairman at 80.